Have you seen a cuter Meowth before? Probably not. 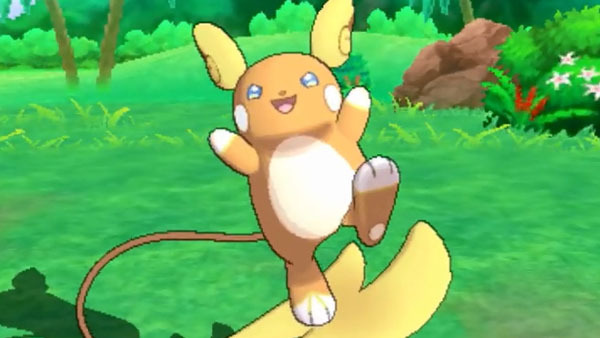 As we inch ever closer to Pokemon Sun and Moon's November 18 release, there are several additional leaks happening here and there with new Pokemon, new Pokemon forms, and characters we can expect to see in the upcoming game. Now, ahead of Friday's planned Pokemon presentation, we've been treated to a whole new bevy of Pokemon. The latest leaked video includes Morelull (Grass/Fairy), Wishiwashi Solo Form (Water), Wishiwashi School Form, Pyukumuku (Water), and the latest Alola region variants like Alola Meowth (Dark), Alola Marowak (Fire/Ghost), and Alola Raichu (Electric/Psychic). We also get an eyefull of the new Team Skull, or the baddies you'll probably be facing off against at every turn. You know, grunts and the like. Fun stuff like that. Check out the video below and see what Meowth looks like with a tan!